Citizens Budgets are designed to present key public finance information to a general audience. They are typically written in accessible language and incorporate visual elements to help non-specialist readers understand the information. While Citizens Budget versions of the Executive Budget Proposal and the Enacted Budget are most common, each key document in the budget cycle can and should be presented in a way that the public can understand. Citizens Budgets can be produced by civil society organizations (CSOs) or other advocacy groups, but should be produced and issued by governments because they serve to institutionalize the government’s commitment to presenting its policies in a manner that is understandable to the public. Why are Citizens Budgets Important? 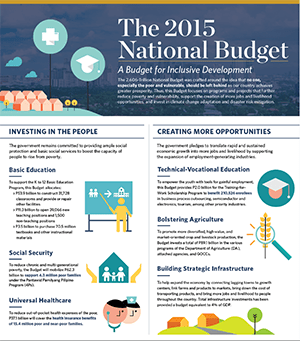 Governments should ensure citizens have a firm understanding of the many ways the budget affects their lives. By presenting budget information in a more accessible format than most standard budget documents, Citizens Budgets foster greater understanding of how public money is being managed. Citizens Budgets should be a gateway to more information. They are not meant to replace more detailed budget documents, but they are important for introducing citizens and civil society to the knowledge they need to participate as informed stakeholders and hold the government accountable for how it manages public money. What Information should Citizens Budgets Include? Economic assumptions underlying the budget: expectations about economic growth and inflation, and predictions about whether the budget will run a surplus or deficit. 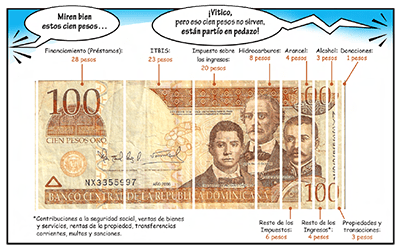 Revenue collection: an explanation of where the government’s money comes from. 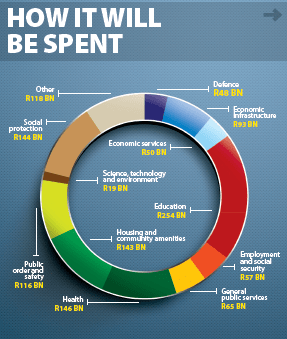 Spending allocations: an explanation of how the money is being spent and why. Significant policy initiatives: an explanation of sizable increases or decreases in revenue or spending. Contact information: details of who to contact for further information. Citizens Budgets can also include information about how the budget is formulated and executed and who is responsible at each stage. Additionally, they can present government policies in specific sectors, such as health and education, and clarify which level of government (national, state, local) is responsible for providing particular services. Citizens Budgets can be presented in a number of ways, ranging from a simple brochure to a lengthy and comprehensive report. No matter the format, the priority should be to present information about the budget in a concise and easy to understand way. A Citizens Budget should be produced in all the official languages of the country, disseminated widely, and made available at around the same time as the budget itself. 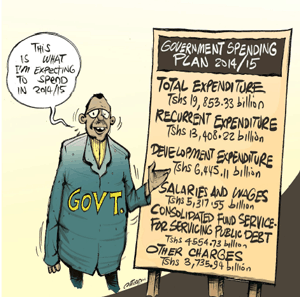 Governments should use Citizens Budgets to engage the public in the budget process. Understanding what the public wants to know is a crucial first step in developing a Citizens Budget. Consulting civil society and the public can help governments to better appreciate the aim and audience of a Citizens Budget, and foster trust between government and the public. Public consultations can take a number of different forms, ranging from online surveys to meetings between government officials and leaders of civil society organizations. Translating technical budget documents and financial jargon into language that is accessible to ordinary people is a key challenge. Visualizations and illustrations can help to articulate key information. Governments should also disseminate their Citizens Budgets as widely as possible, using local languages and different forms of media. View examples of Citizens Budgets here. In addition, these publications provide more detailed information about Citizens Budgets, how to create and use them, and more.